One on my favorite topics is Agile Marketing, and to find another person in the area who has passion about the subject is a very awesome thing. 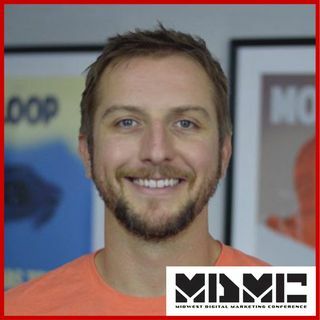 Travis Arnold, self-described digital marketer, business owner, and a technical guy, is one of the original community contributors to the idea behind bringing Agile to marketing. In this episode, Travis and I discuss how he got started with the subject, how teams can focus on delivering amazing content by focusing on customer satisfaction, and ... See More when it is the right time to change course on your efforts. And the fun doesn't stop there. We dive into getting out of the cost-center mentality of a marketing department and consider what it will take to have your team show true ROI to the business. Travis Arnold likes marketing, technology and a good taco shop. After working for Sendouts, with a brief stint in the Rockies, he started a small digital marketing agency that helps tech companies. He and Jason teamed up, created Herefish and the rest is history. When not in the office he’s usually found outdoors.